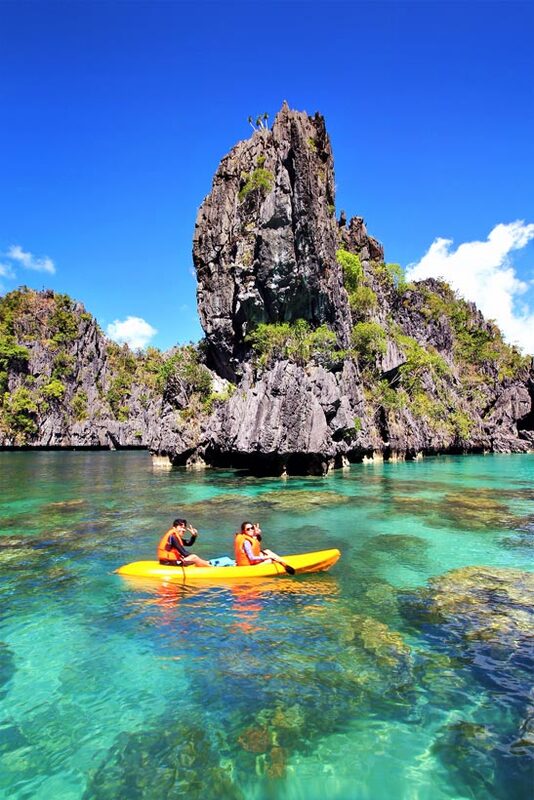 El Nido and Coron are dream destinations for scuba diving, island hopping, kayaking, snorkeling, hiking, and so much more. 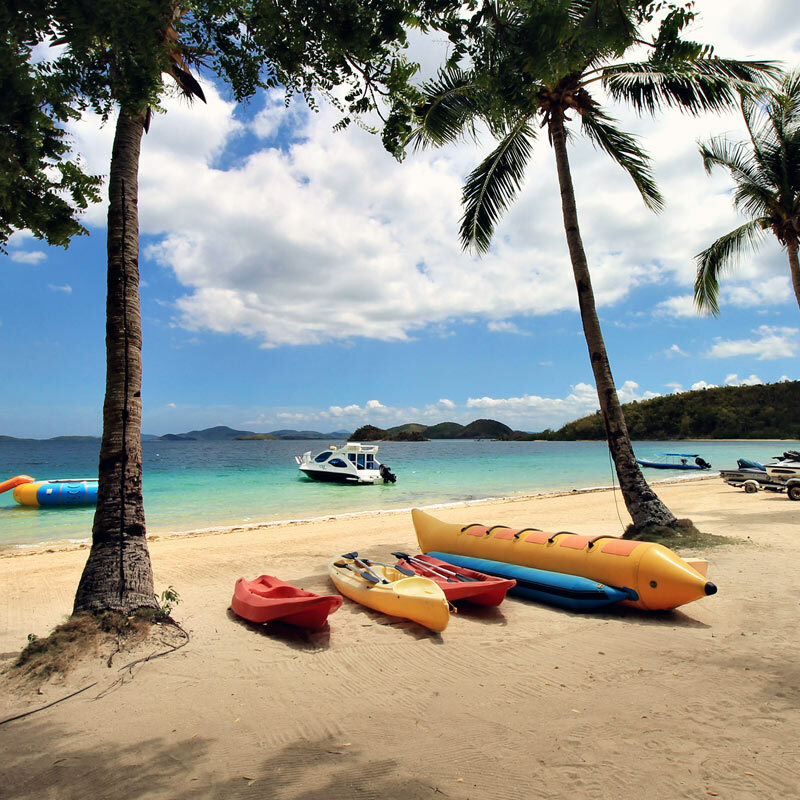 Not sure where to go in Palawan? I'll help you. Whenever my friends ask me where to go in the Philippines, I tell them to go to Palawan. Why? Because it is incredibly spectacular. 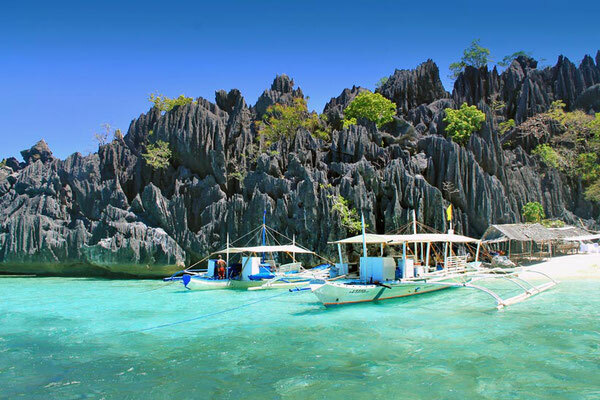 Palawan is one of the most breathtaking destinations in the world. And hey, I'm not the only one who thinks that way: Conde Nast Traveler described Palawan as the most beautiful island in the world. True story. 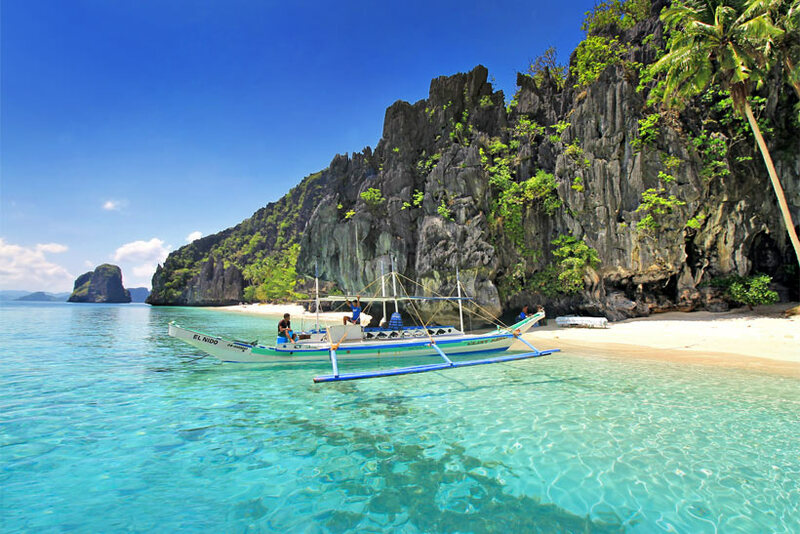 Palawan is the largest island province in the Philippines and also known as the last frontier of the country. Most of the land is still undeveloped and untouched, there are hundreds of uninhabited islands. 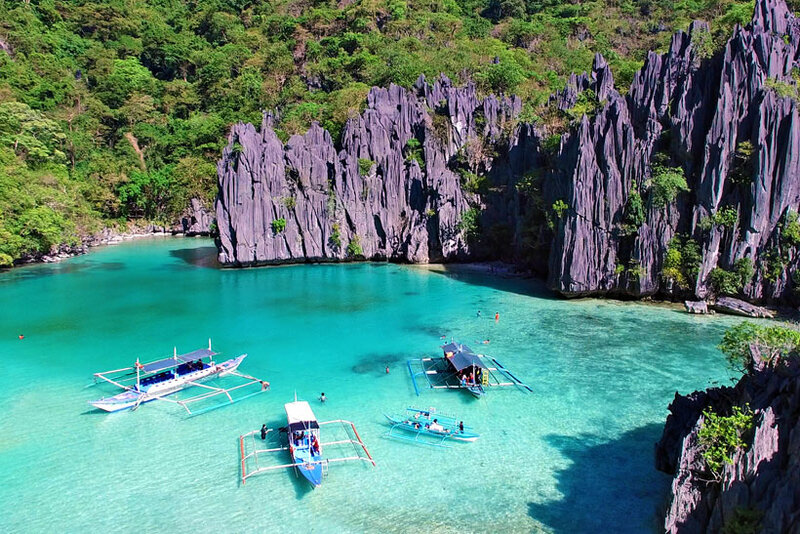 Once you start researching about Palawan, you'll eventually figure out that the majority of all travelers are going to visit two places: Coron and El Nido. You'd probably think you could visit them both, but unfortunately the sea divides these two places and makes them not as easy accessible as you might think. 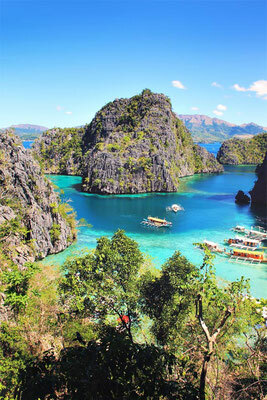 Words can hardly express the true beauty of Palawan, so let me start with a few images to give you a better imagination. I took all of these pictures on my recent trip to Palawan. 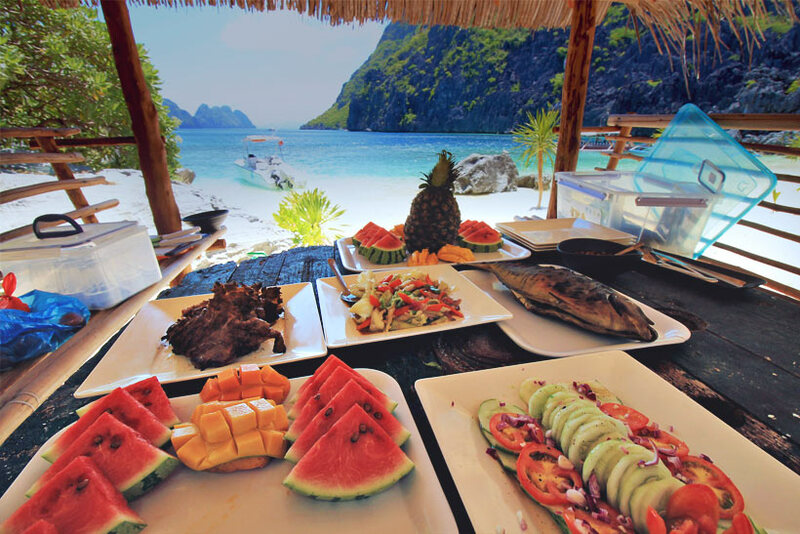 The photos on the left side are taken in Coron, the photos on the right side are taken in El Nido. Welcome to paradise. Please, click on the images for a bigger view. Click to enlarge! The images on the left side show Coron, images on the right side show El Nido. So... What do you think? Both of them look absolutely spectacular, right? 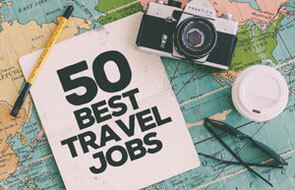 Looking at those you might think you can't go wrong with any of these places, right? I can't blame you, because it's hard to get disappointed here, especially when it's your first visit. However, let me help you to find out what's the difference between Coron and El Nido. I took the time to compare each of these places, describe the towns, activities, places to stay, plus the ease of getting there. I hope this post makes it easier for you to make a decision. Let's get started! 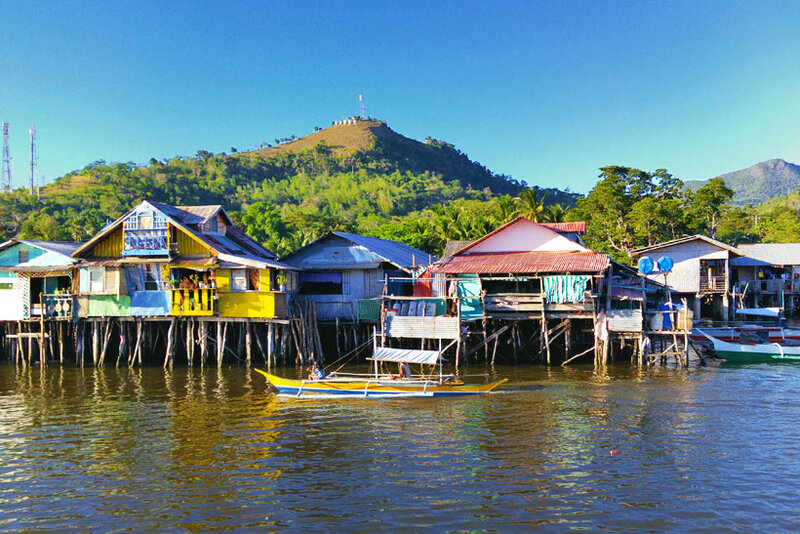 Coron Town is a small, laid back fishing town with friendly locals. Some of the residents live in houses on stilts, over the water. Just behind Coron Town is Mount Tapyas, the second highest point of Coron. To enjoy the spectacular panorama views over the seaside, charge yourself up and climb 725 steps to reach the summit of mount Tapyas. The small town offers quite a good choice of restaurants, local eateries, banks, and now they even have an ATM (which might not work, so bring enough cash either way). It's quiet at night, there are hardly any parties going on or anything that could be called a nightlife. El Nido is not how I remembered it. When I came in 2009 I described it as a sleepy fishermen village. However, tourism has changed the place a lot. Nowadays, the streets of El Nido are cramped with souvenir shops, tour agencies, restaurants, bars, convenient stores and more. You can hardly walk around without getting approached by vendors, travel offices or tricycle drivers. 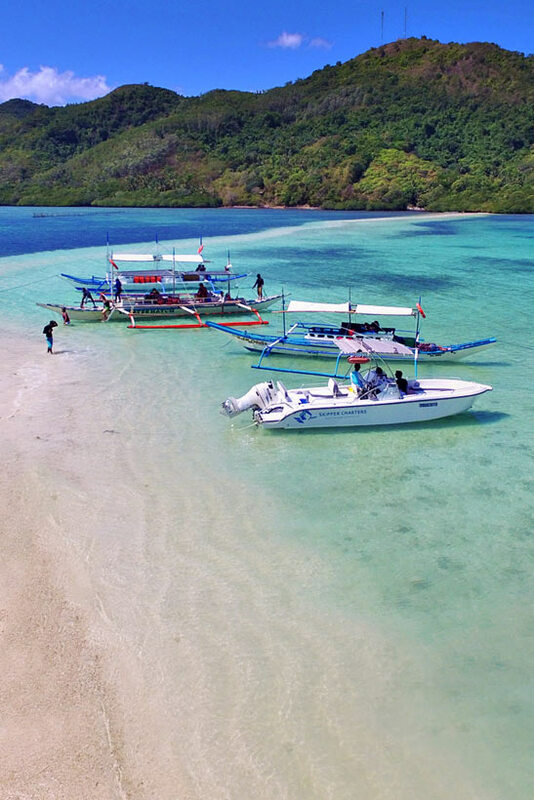 There are some lovely beachfront properties with great ocean views, however having a swim at El Nido's beach is not recommended as the water looks polluted from the hundreds of boats that park along the bay. If you like parties, you'll definitely find them there, plenty of beach bars are playing loud music during the evening and offering happy hours during sunset. If you have some good shoes and don't fear heights, you should go and climb Taraw Peak, the view from up there is absolutely breathtaking. Please don't do this on your own, it can be dangerous to climb the rocks, the are super sharp! Make sure to hire a guide that will bring you up there safely. 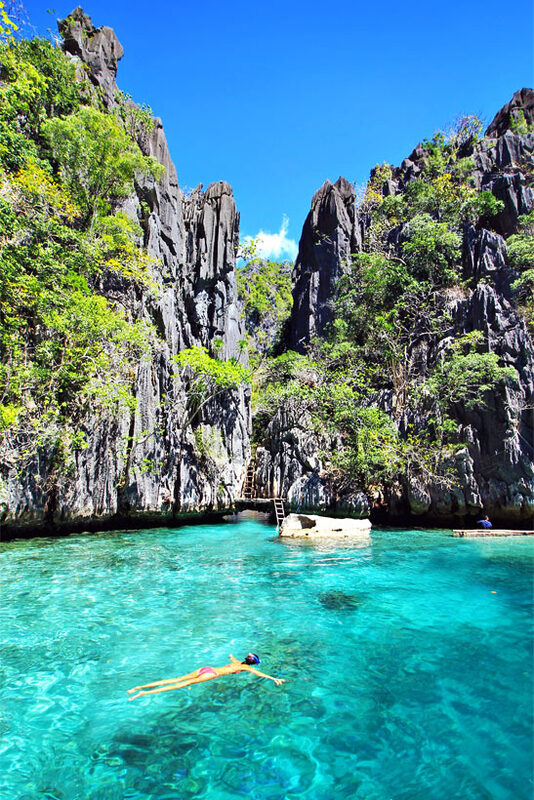 Coron has some pretty amazing lagoons, surrounded by cliffs and limestones. The main attractions are the freshwater Lake Kayangan, but also the Twin Lagoon and the Barracuda Lake are equally impressive. I recommend doing island hopping to get to see all these places. Pretty much every tour operator and hotel in town can help you organizing island hopping. Tour A and B seems to cover most of the main attractions. The most photographed spot in Coron. You have to climb up a bit to get this shot. It's half way to Kayangan Lake. We did tour A and B, booked through The Travel Boss PH. While we had some hiccups on the first tour (one hour delay), the second tour went quite smooth. 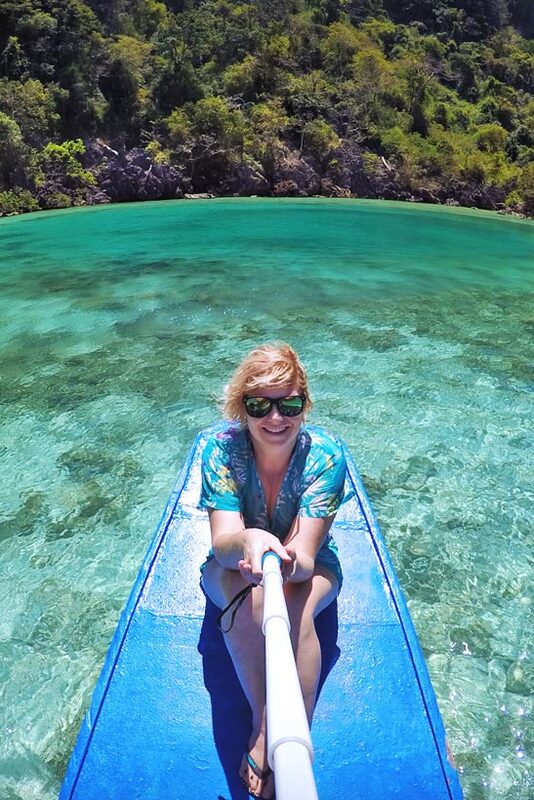 Island Hopping in Coron is a way cheaper than in El Nido, and it's less touristy. The price for a day island hopping starts from P650 ($14) include lunch. Unfortunately snorkel gear was not included, make sure to bring your own mask and snorkel, as the underwater life is Coron is absolutely amazing. If you're a diver, you'll probably love Coron more than El Nido. From Japanese shipwrecks to colorful coral gardens, with its abundant marine life Coron is considered as one of the best dive spots in the world. 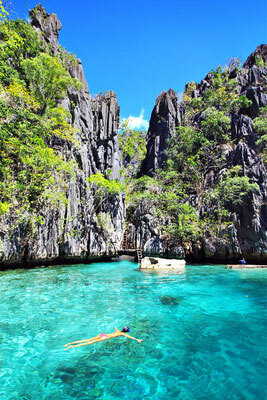 My favorite spot in Coron was without doubt Kayangan Lake, which is part of Tour A. The freshwater lake is completely surrounded by limestone walls, over and under the sea. You can't get in by boat, the only way to access it is through a steep 10 minute climb over the rocks. It's like entering a secret place. Once you get there, the views are out of this world. The water is incredibly clear and refreshing, it's such a delight to swim and snorkel inside the lake. I saw plenty of fish and shrimps. I will never forget my thoughts when I went for the first time island hopping in El Nido. That was back in 2009. It was absolutely jaw-dropping. Surreal. In a heartbeat I knew that I had never seen anything more beautiful like this before. Entalula Island, part of Tour B. Scroll further down for a drone shot! 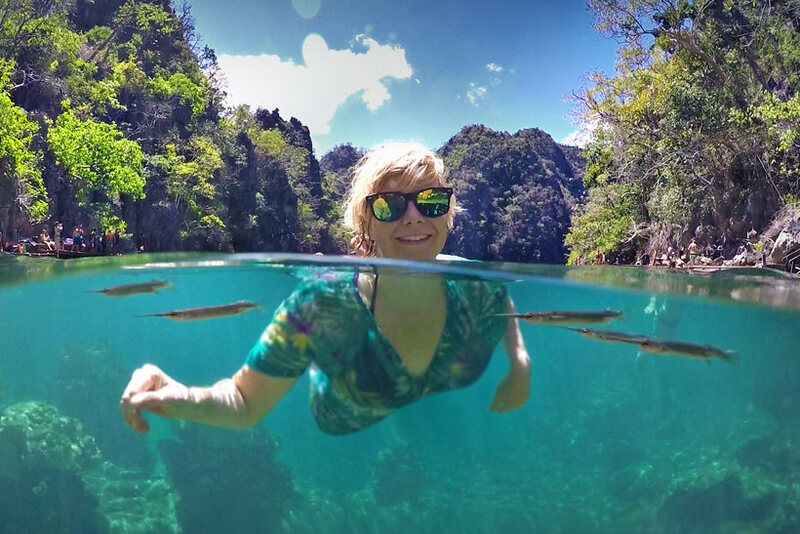 Upfront, and I'm serious about this: if you visit El Nido, you have to explore the islands! No excuses. 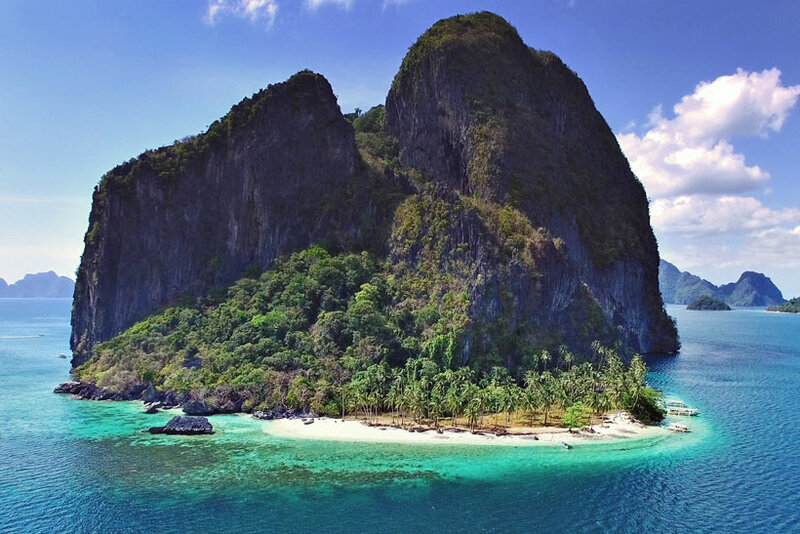 El Nido without island hopping is just not the same experience. You will see lagoons, hidden beaches, caves, white sandy paradise beaches and uninhabited islands. I promise, you'll be speechless, it is absolutely spectacular. 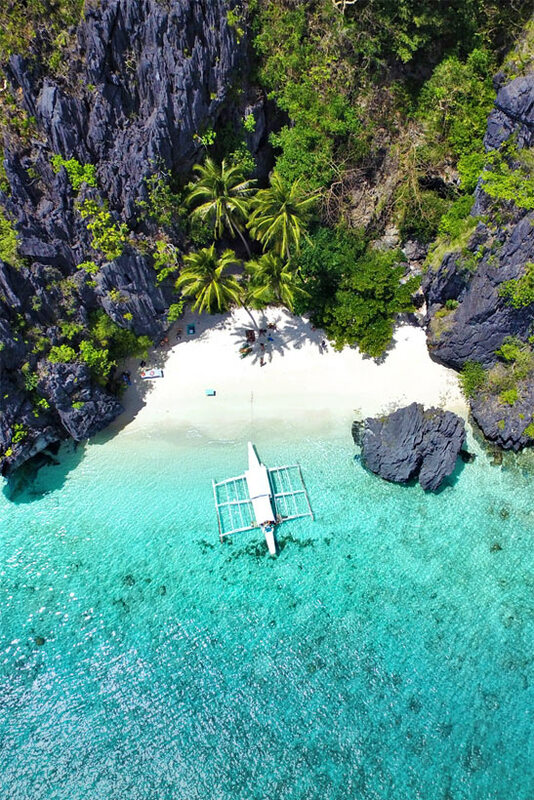 Island hopping is the most popular thing to do in El Nido, and unfortunately the rates increase every year. At the time of writing (July 2016) the rate for a day island hopping is around P1200-1500 ($25-32). 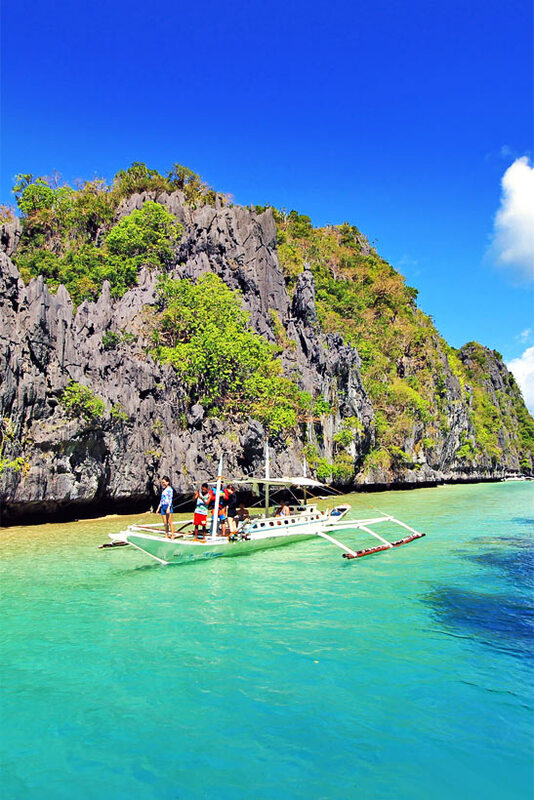 These are group tours that can be organised by pretty much every travel agency in El Nido. Lunch and snorkel gear is usually included. The iconic Big Lagoon (left) and Entalula Island (right) from a bird's eye view. Shot with a DJI Mavic Pro. There are four different group tours, called Tour A B C and D. To be completely honest, I can't recommend to go on a group tour. The experiences I made this year weren't that great. I did two group tours and cancelled the third one after hearing the boat would be big enough for 36 people. That was clearly not the way how I wanted to do island hopping. It was nothing like I remembered. On my previous trips to El Nido we explored the archipelago in small bangka boats. And now, boats were getting bigger and bigger to accommodate all the tourists. Mass tourism had arrived in El Nido, and probably part of it was my fault, too, after blogging about it. View from Matinloc Shrine in El Nido. This site is part of Tour C.
So what to do? How to escape the crowds and still get an enjoyable island experience in El Nido? Good question. I'm concerned about the numbers of boats going out for island hopping every day. I'm not sure how they will manage the large amounts of tourists in the future. Personally I'd recommend 2 things to avoid a bad experience. If you can, visit El Nido outside peak season. 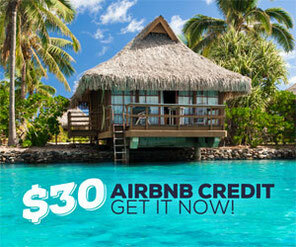 If you can't avoid this, safe up some extra bucks and invest in a private island hopping tour. Hire a local to show you around the archipelago. It is more expensive do island hopping on a private tour (P5000-6000 per boat / $100125) but trust me, it's so worth it. Bring a bunch of good friends and split the boat rental. Or ask the people who are staying at your hotel and get a small group together. No harm in asking, pretty much every tourist in El Nido goes island hopping. You can get half day tours for less. We hired a local fisherman at Marimeg Beach (10 minutes from El Nido) to bring us to Pinagbuyutan Island for a half day. He agreed to P1200 for the four of us. A more expensive, but probably the most enjoyable way to explore the archipelago is by speedboat. My friend Char introduced me to Skipper Charters, a small company that does island hopping with fast crafts. We had an amazing tour with them, the boat ride was smooth and so much faster than the bangka boats. We were able to see a lot more places in one day as if we would have gone on the ordinary group tour. But the best of all was that there was no fixed itinerary. We just told them the places we'd like to see, they brought us there, and let us stay as long as we wanted. The staff was beyond amazing, incomparable with the group tours we did. They knew everything about the Bacuit Bay and gave us a memorable time. When we couldn't get enough pictures of the Big Lagoon, they just went in a second time, until we got all the photos we needed. The staff did an amazing lunch for us, more than we were able to eat (photo below). After all, this was my El Nido highlight and the way island hopping should be. 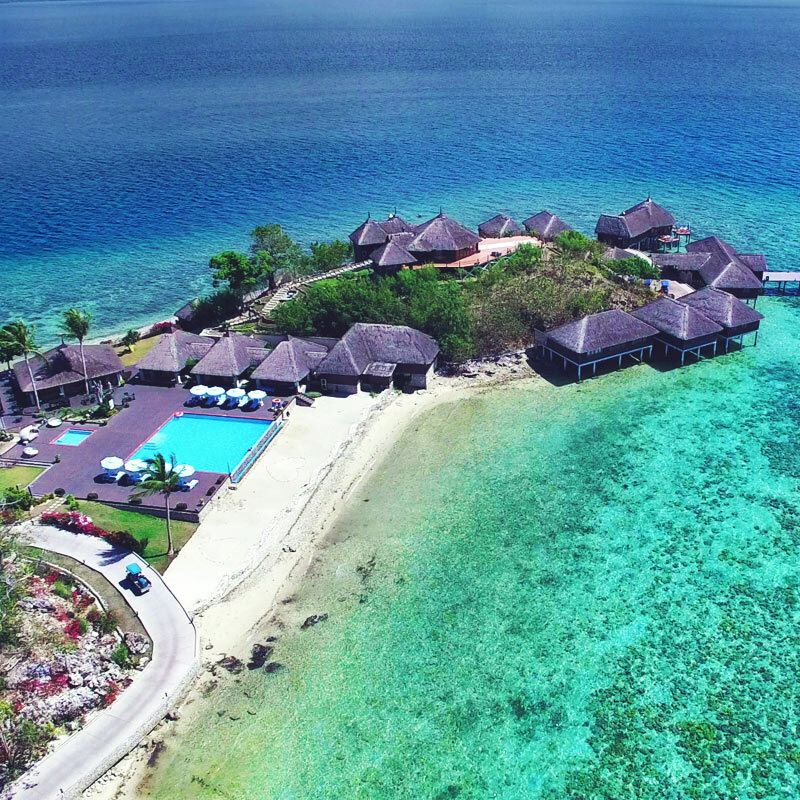 I was really lucky to get a good deal with the Huma Island Resort in Coron. This hotel might not be affordable for the average traveler, but the experience was pretty unique and made it worth it. First of all, this is one of the very few resorts in the Philippines that offers water bungalows. 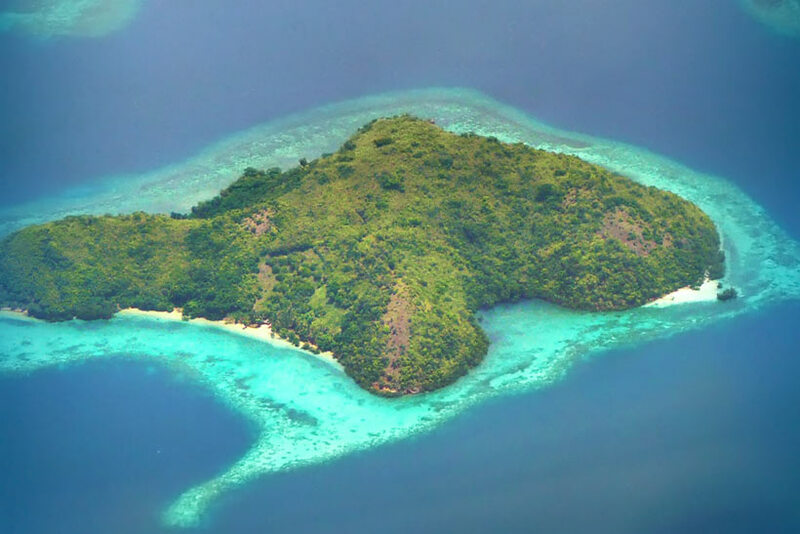 The Maldivian-style resort is located on a small island, 30 minutes away by boat from Coron Island. 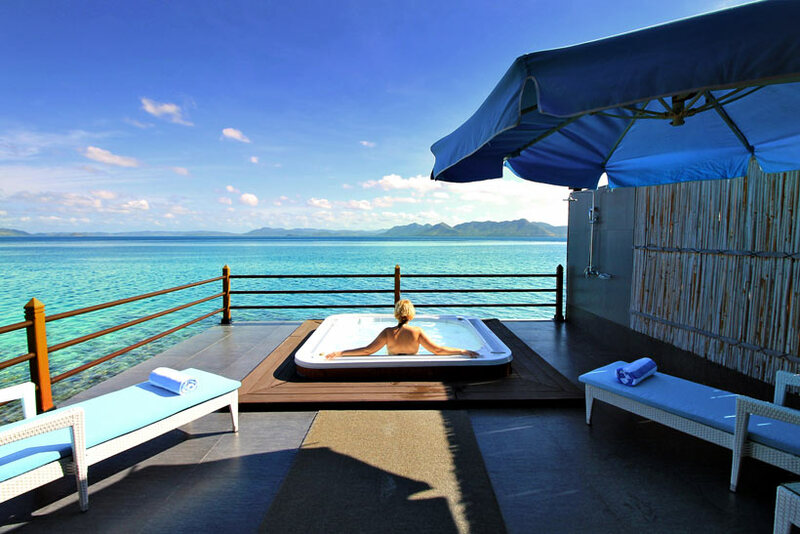 Our water villa had a private sundeck with jacuzzi and a view to die for. The next day I woke up at 6am, climbed inside the jacuzzi and watched the sunrise from our terrace. It was priceless. The room was spacious, tastefully furnished, and spotless. Large bathroom with windows from top to the bottom including water views. The wifi worked despite being in such a remote place. We spent 2 nights at the water villa and needless to say, it was hard to leave. The spa is pretty spectacular, it's built on stilts over the water with glass floors. You can watch some fish swimming underneath you, while enjoying a massage. It was heavenly. 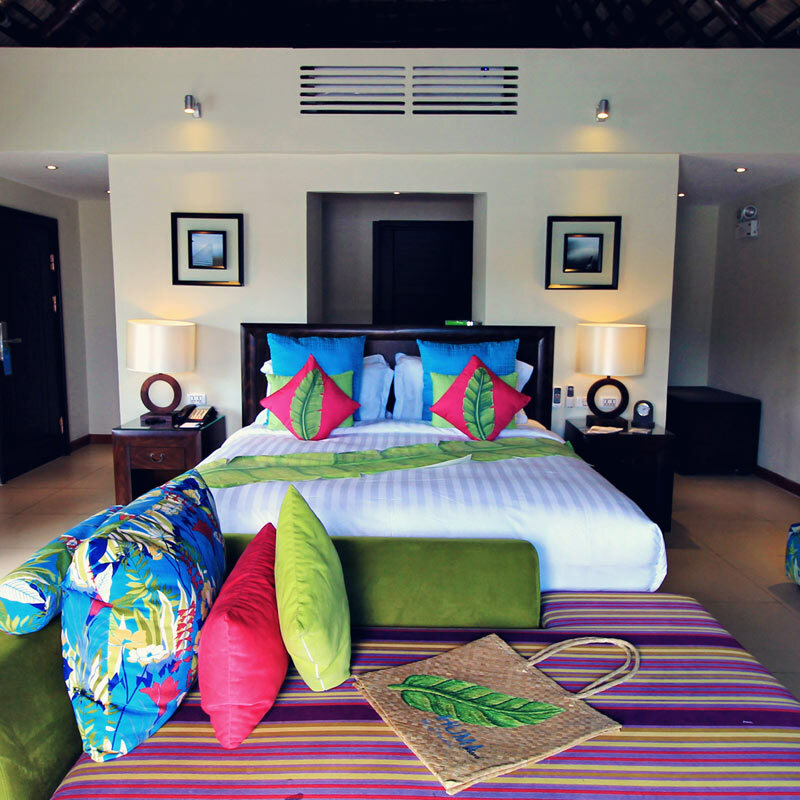 Huma Island Resort is a beautiful place to relax in tranquility. I bet honeymooners would love this place, too. Click here for more hotel info, rates and availability. You're not into luxury resorts? No problem. Actually, I only splurge occasionally. But when I do, I really enjoy it. For the rest of the time I'm OK with simple stays, as long as they're clean and in a safe location. I booked 2 nights at the Divine Castle Travelers Inn, because the reviews on Agoda were overwhelmingly positive. The place was a fantastic bargain indeed. We paid around $20/night for a double room with AC and breakfast. When we arrived, we got upgraded to a seaview room which was really cool, because now we could watch the sunset from our room. A simple breakfast was served on the roof terrace, including panorama views. Overall, a fantastic stay: spotless rooms, comfortable beds, lovely staff and the location couldn't be any better. 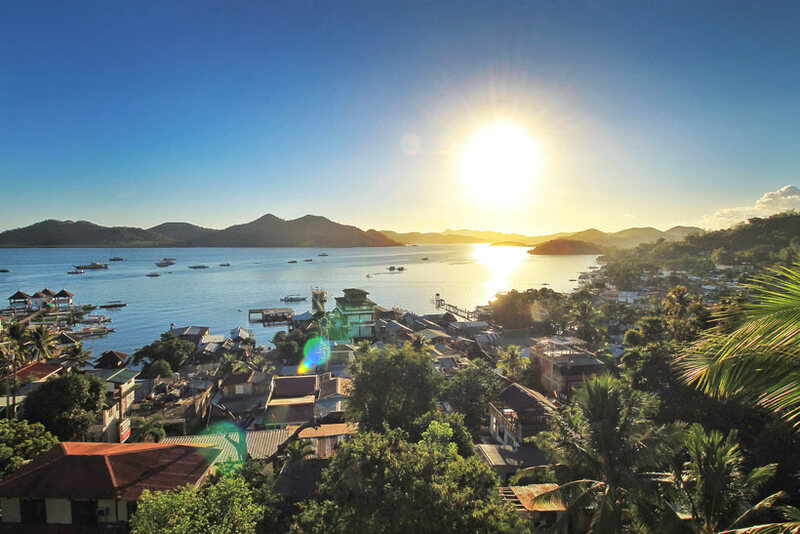 It was walking distance to the center of Coron Town, the pier and many restaurants. Would I stay again? Absolutely. I stayed in total one week in El Nido, at two different places. Accommodation tends to be more pricey in El Nido, or let's say it the other way: you get a better value for less money in Coron. However, I discovered a couple new places and I'm happy to recommend them. To be honest, I rarely stay these days in hostels anymore. But when I saw photos of this place online, I was sold. 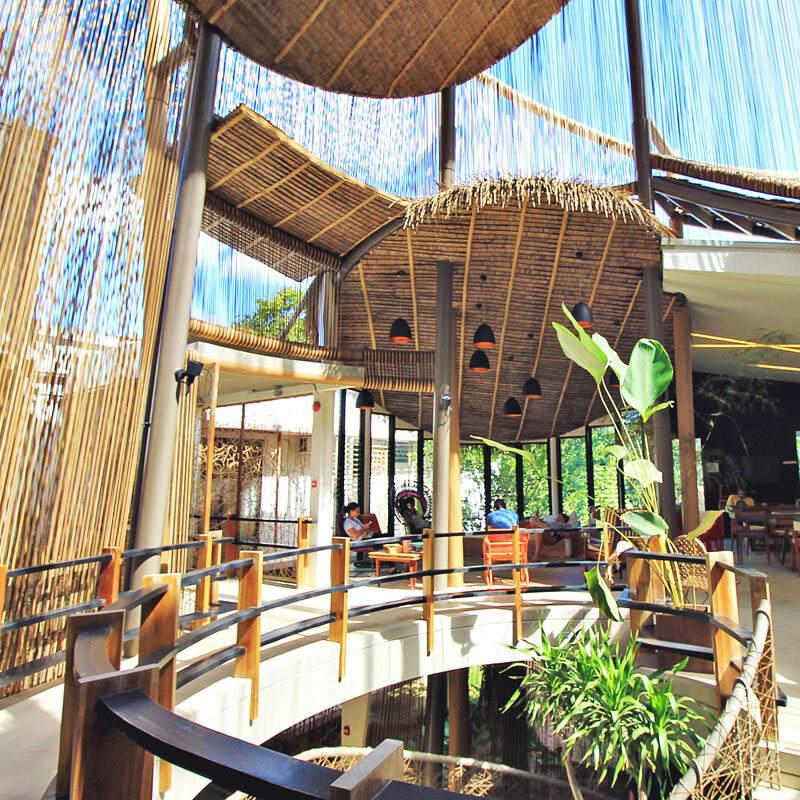 To cut this short, this is not your usual hostel, this place is a hidden gem! 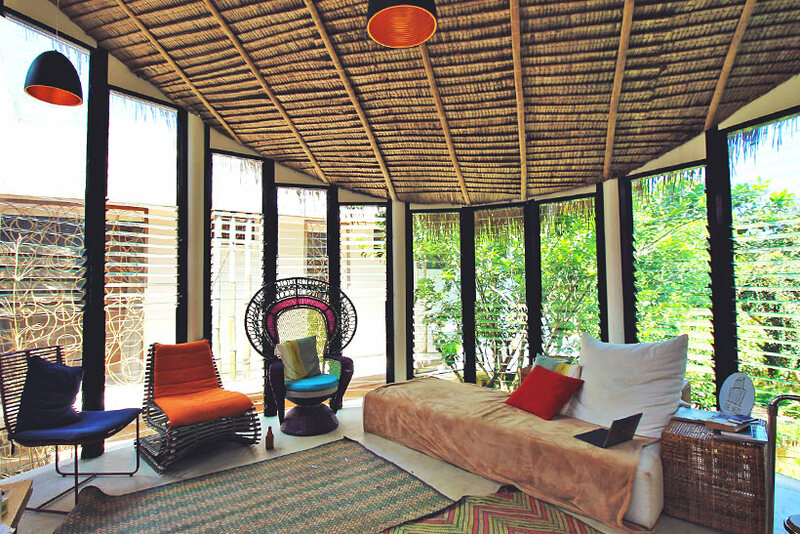 The Spin Designer Hostel is the newest and hippest place to stay in El Nido! 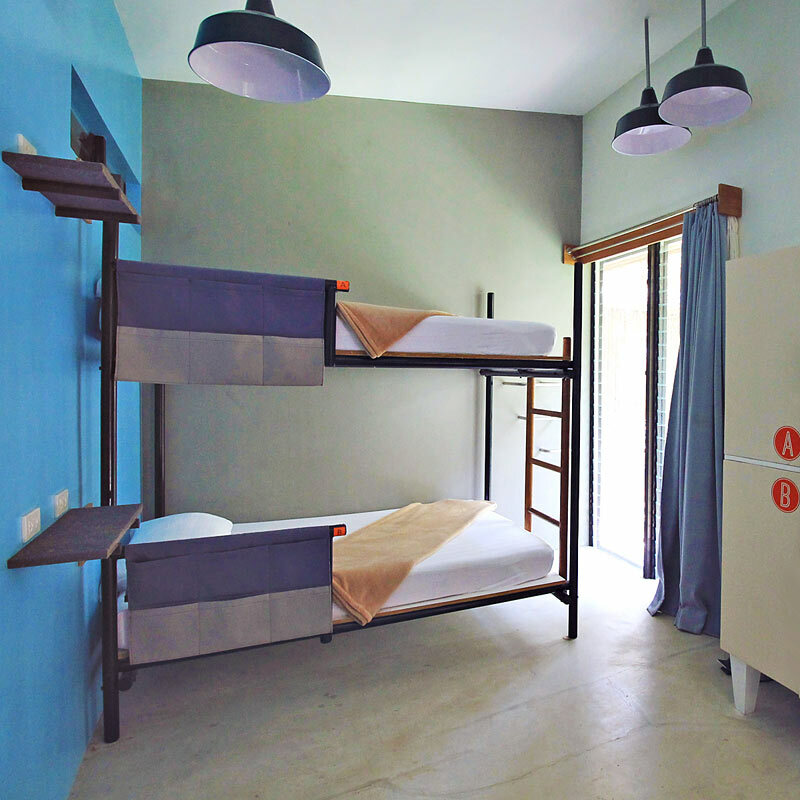 It's perfect for young travelers, backpackers, but also couples will like it (they have double rooms, too). The cool designed common area is a popular hangout and makes it easy to connect with fellow travelers. I was really impressed with their interior design: it's colorful, functional, with plenty of natural light coming through. The architecture is an interesting mix of modern and local features. For the fact that this is a hostel, the breakfast was much better than at most hotels I've stayed before. They had an egg station, fresh pancakes, real coffee (no 3 in 1 packs), fresh fruits, good bread, musli and plenty of spread. The staff was superb and organized dinner events and other activities for their guests. The location of the Spin Designer Hostel is perfect, in a quiet side street, but still close enough to all the action. The beach is just a 3 minutes walk away. Hands down, this was one of the coolest hostels I've ever stayed. Check out their reviews online, it's one of the best rated places to stay in El Nido. Book it online, this place is fully booked, weeks in advance. 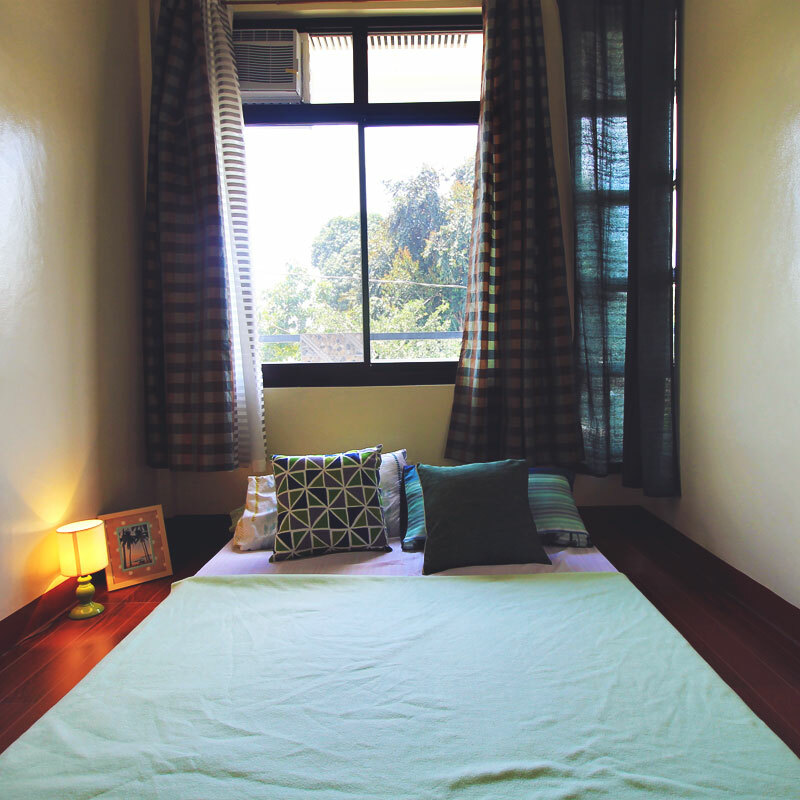 This was the second place I stayed in El Nido and I found it to be quite a good value. The hotel Inngo Tourist Inn is located on the Northern side of the town, just a couple minutes walk to the center. The beach is literally in front of you, just across the street. The hotel just opened recently and has plenty new rooms on three floors. Everything looked new. 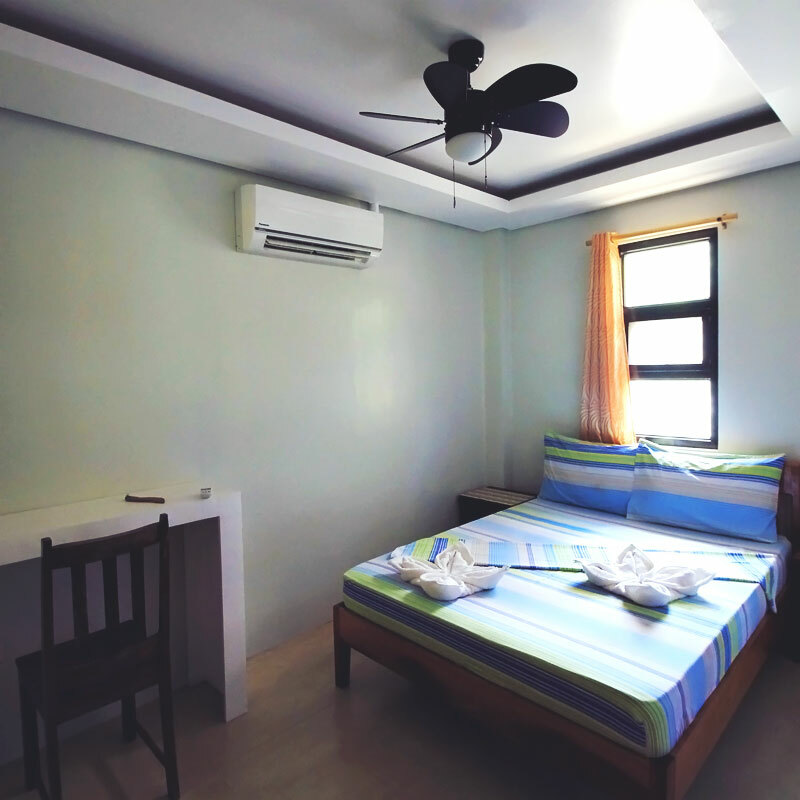 The rooms were small but spotless, equipped with desk and AC. Hot shower with a good pressure. A simple breakfast was included. Double room with breakfast from around $40/night. You can book here. If you're passing through Puerto Princesa, you should stay at my friends' place! 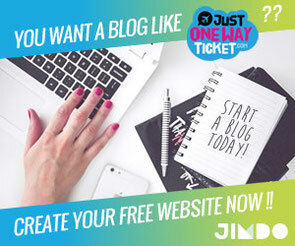 James is a fellow blogger (Journeying James) and just opened a homestay for budget travelers. His place is lovely and James was a great host introducing us to his family. For booking just contact him through his Facebook page Palawan Homestays. 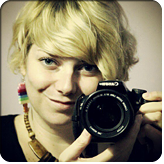 Say hi from me (Sab). If any of the hotels I suggested here are fully booked, please check out Agoda for accommodation in El Nido and Coron, there are plenty more choices, from budget to luxury. Coron is without doubt easier (and cheaper!) accessible than El Nido. Coron's main Airport is Busuanga. 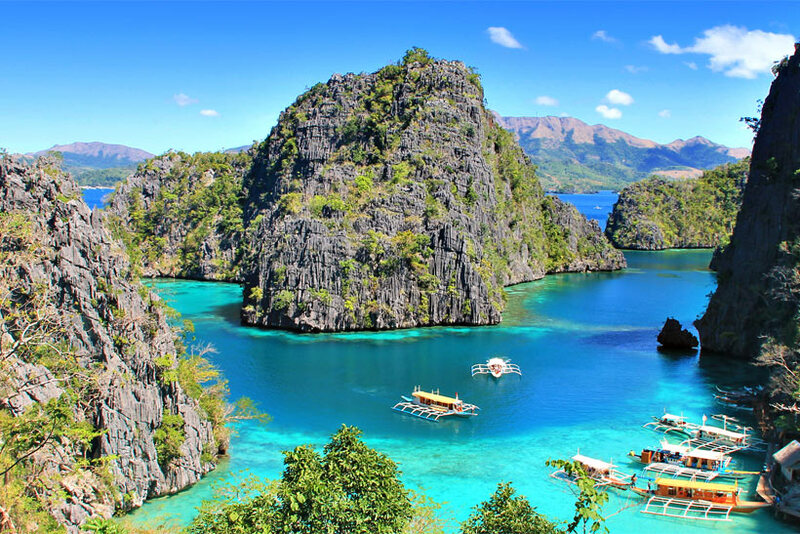 Cebu Pacific Air flies directly from Manila to Coron, every day. 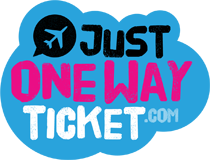 Watch out for promo fares, you can get tickets for as low as P1000 ($22)! Once you arrive at the airport, you'll find shuttle vans outside the arrival hall. The transfer from Coron Airport to Coron Town cost P150 ($3) and will take about 30 minutes. El Nido has an airport that is only served by chartered flights. Air Swift offers direct flights to El Nido, from Manila and Cebu. 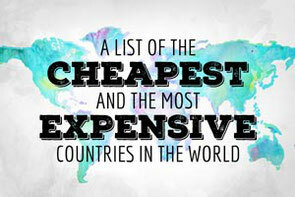 Unfortunately, airfares to El Nido tend to be expensive. The cheaper alternative: Fly with Cebu Pacific Air to Puerto Princesa. There are direct flights from Manila and Cebu. If you're flexible with your travel dates, you can get tickets for as low as P1000 ($22). Once you leave the Airport in Puerto Princesa, you will see the shuttle vans waiting outside. 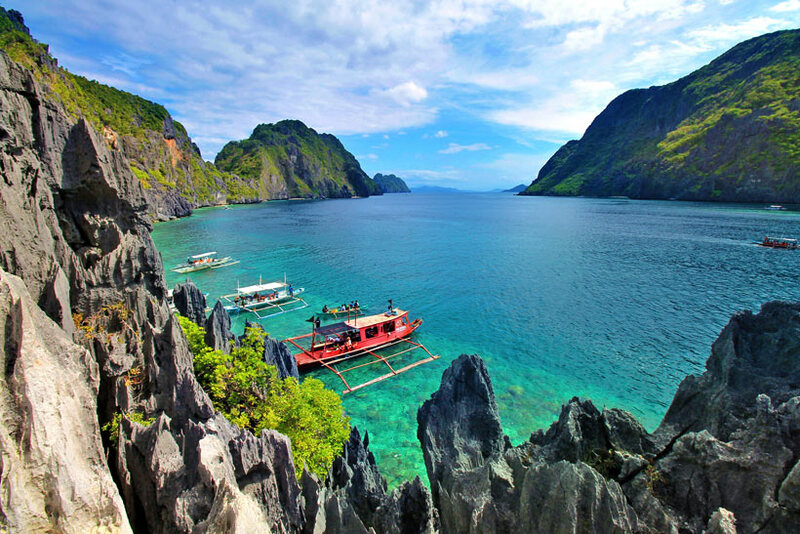 They will take you to El Nido for P500 ($11) within 6 hours. Here comes the challenge. 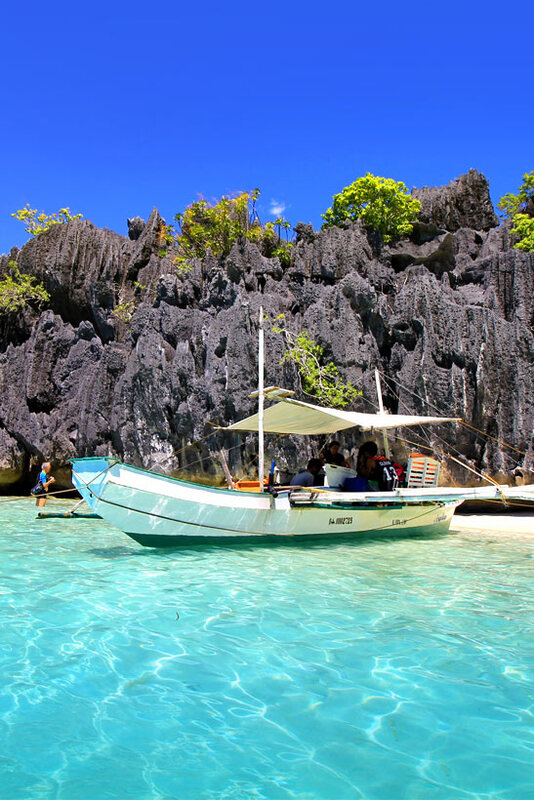 Getting to Coron or El Nido is not your biggest problem. Connecting these two is. Unfortunately there are no direct flights between El Nido and Coron (I WISH!!). Basically there are only 3 ways. This is the most expensive, but probably most convenient way to do it. 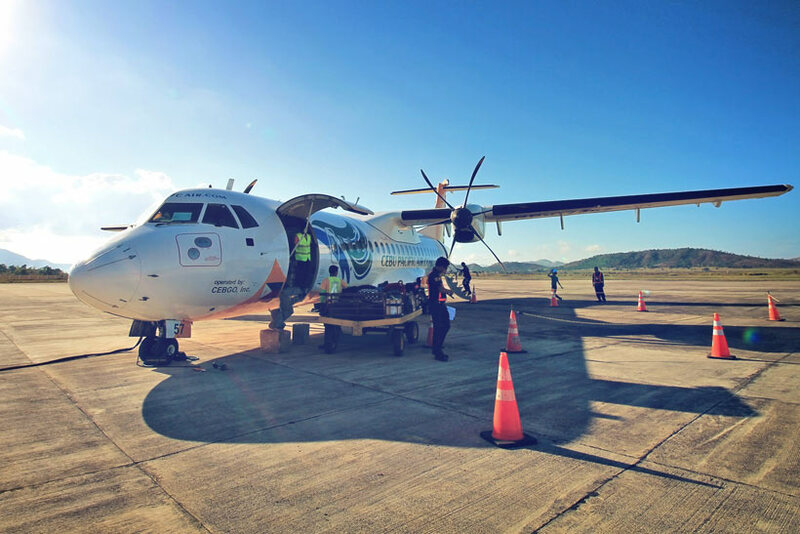 Fly from Coron to Manila and take another chartered flight to El Nido. This also works the other way around. Slightly cheaper than the option above and the way how I made it: I flew in the morning from Coron to Manila, caught another flight in the afternoon to Puerto Princesa, and then I took the shuttle van to El Nido. The whole thing took an entire day. You can book both flights together with Cebu Pacific Air. There are boats connecting El Nido and Coron. I did that trip as well, back in 2009. To be honest, I wouldn't do it again. The ride was very uncomfortable. Being on the open sea for 6-8 hours can be quite scary if there are big waves or rain. However, I heard they have newer, faster ferries now, but I don't have any information up to date. 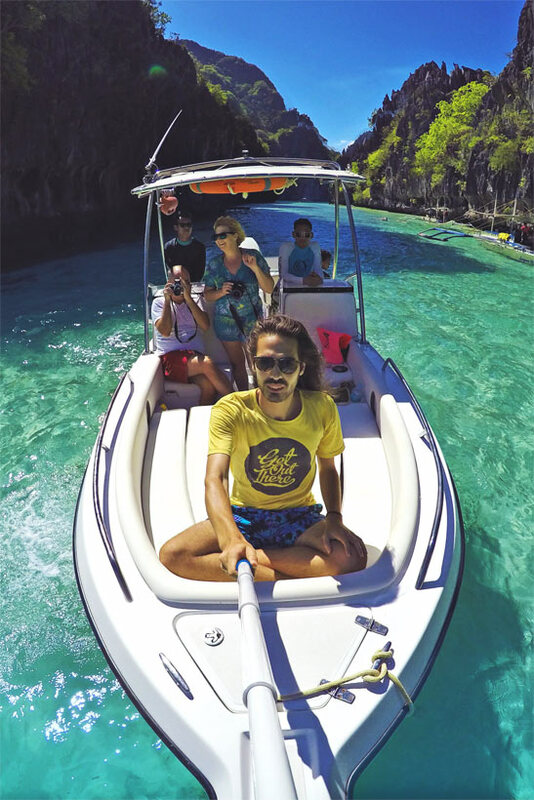 If you recently took a boat between Coron and El Nido, please let me know about your experience (in the comments section at the end of this post). So... Coron or El Nido? Which one is really better? To be honest, it's all up to you. People are different, so are expectations. I can tell you that both of these places offer a lot and I doubt anyone would return disappointed. But to draw you a better picture, let me tell you what I liked the most about each place. I loved that Coron was less touristy. The locals seemed friendlier and more helpful. It was pretty easy to find good and cheap food and accommodation in Coron Town. And speaking of easy, getting to Coron is a breeze, thanks to direct flights with Cebu Pacific Air. Kayangan Lake was my highlight as I said before, it was the cleanest lake I have ever dipped my feet in. I'm not a diver but I can see that Coron has a lot more to offer for divers, with its abundant marine life and the opportunity to explore the sunken shipwrecks from WWII. I just snorkeled at Kayangan Lake and seeing all those rock formations and corals underwater was pretty spectacular, it's looks like a moonscape. I can't lie about what I felt when I discovered the Bacuit Bay for the first time. For me, El Nido was the true definition of paradise. 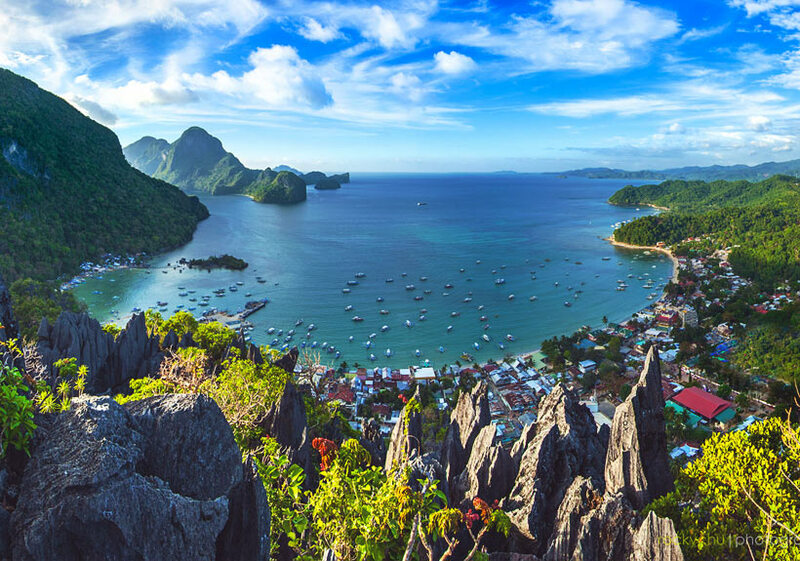 If you think the limestones, the rock formations and the lagoons in Coron are impressive, then El Nido will take your breath away. The archipelago of El Nido is just so much larger and there is a lot more to see, compare to Coron. I'm a beach gal and El Nido has definitely better beaches. The whole archipelago is a maze of gorgeous little islands, powder-white beaches and the most stunning lagoons I've ever seen. I highly recommend to do kayaking through the lagoons, it's such a memorable experience. Coron or El Nido? There is no answer, both places are dream destinations, that shouldn't be missed.